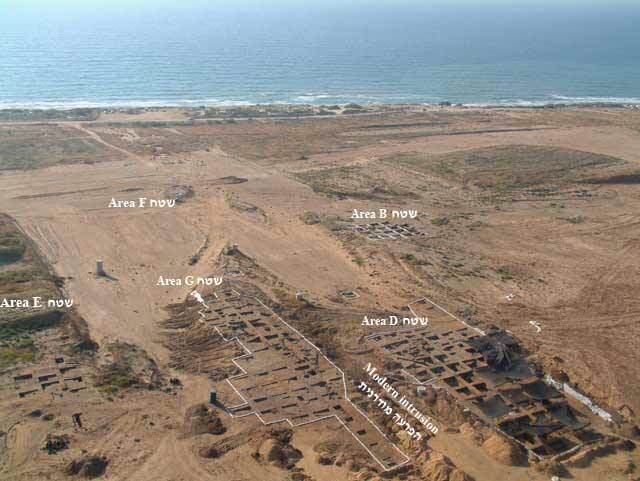 During February–May 2005, further salvage excavations were conducted at the Early Bronze Age site of Ashqelon Barne‘a, adjacent to the coastline and north of modern-day Ashqelon (Permit No. 4378; map ref. NIG 15975/62290; OIG 10975/12290). 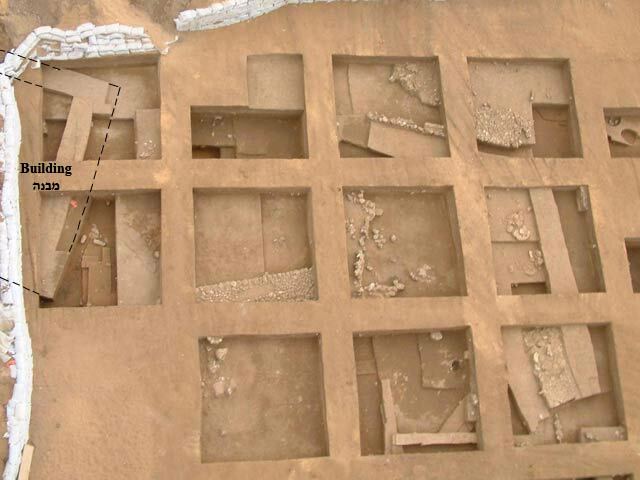 This project, which continued the previous trial excavations at the site (HA-ESI 117) prior to developing a new residential neighborhood, intended to concentrate on the exposure of archaeological remains only in the southern portion of the site. The excavations, on behalf of the Antiquities Authority and funded by the Economic Company for the Development of Ashqelon, were directed by A. Golani, with the assistance of N.S. Paran (Area G supervision), E. Alajim and A. Freiberg (Area D supervision), S. Talis (registration, ceramic processing and computerized data entry), R. Abu-Halaf and H. Lavi (administration), V. Essman and V. Pirsky (surveying), T. Sagiv and J. Kdoshim (field photography), O. Ackerman (geomorphology), Y. Nagar (physical anthropology), Y. Bukengolts (pottery restoration), N. Zak and I. Berin (drafting), E. Boaretto (14C dating) and P. Nahshoni (district archaeologist). 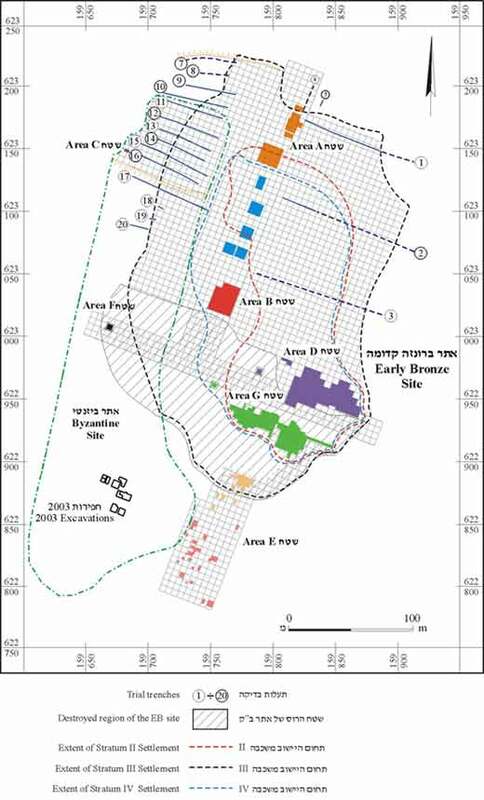 The site, located c. 1 km north of the Ashqelon Afridar EB site (see ‘Atiqot 45), was discovered after large-scale earthmoving activities revealed occupational remains below the overlying sand dunes. These dunes bore remains of a Byzantine occupation (fifth–sixth centuries CE), partially excavated in the past. The earthmoving operations caused extensive damage to the site, especially to its southern part, large portions of which were completely obliterated (Fig. 1). 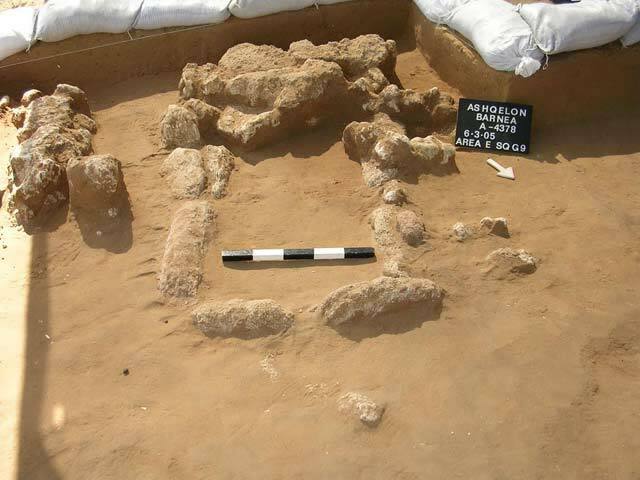 The current excavations sought to expose as much of the surviving remains in the southern part of the area as possible. Areas D and E, probed in the previous excavations (HA-ESI 117), were enlarged considerably and a new excavation area (G) was also opened. The previous stratigraphic scheme that defined four primary strata of the EB I period (Strata IV–I) was revised. Stratum I, previously assigned to the last EB occupational phase, is now associated with the Byzantine occupation. This adjustment now poses Stratum V as the initial occupation in the EB I period, while the last EB occupational phase is Stratum II. The present season also included mechanical digging of several trial trenches, intended to determine the extent and depth of the archaeological remains on the northern portion of the site (see Fig. 1). Four primary strata of the EB I period were identified, as in the previous season. Preliminary results of Carbon 14 dating indicate a chronological range between 3500–2900 BCE for the EB occupation at the site. This area in the southeastern portion of the site lies immediately to the north of Area G (Fig. 2). Its stratigraphic profile was initially determined in the previous season, while the present excavation sought to enlarge this exposure (Fig. 3). Three main strata of the EB period (Strata IV–II) were identified, as well as limited remains of an earlier occupation below (Stratum V) and sporadic elements of Byzantine activity in topsoil (Stratum I). Stratum V consisted of several surfaces located below Stratum IV. No architectural remains were revealed and, as in the previous season, it appears to represent a sporadic occupation of limited duration or a pre-constructional phase of Stratum IV. Stratum IV was the first major building phase that included several pits and curving mud-brick walls, some of which were identified as outlining a large rectangular building with rounded corners. In the southern part, a large and curving mud-brick wall (1.4 m wide, exposed length over 30 m; Fig. 4) was found. No other walls abutted this wall, which appears to have functioned as an enclosure wall, surrounding a very large space that may have continued into Area G, to the south, although a large and deep modern disturbance (see Figs. 2, 10) destroyed any possible continuation of this wall southward. Stratum III was a continuation of Stratum IV, yet appears to have been the most intensive occupation in this area, often identified as having two architectural phases. The large enclosure wall from Stratum IV partially continued in use. Within the area circumscribed by this wall, a circular mud-brick building (diam. 7.5 m) with a stone-paved floor was built. Outside the area of the enclosure wall, several large mud-brick structures were identified, some appear to have been domestic buildings, whereas others were larger and of a complex plan and may represent public structures (Fig. 5). In the later architectural phase of Stratum III, the building remains became denser and flimsier in construction. Stratum II represented a total break in occupation and was possibly founded after a temporary abandonment of the site. None of the Stratum II structures recognized the former Stratum III remains and its poorly preserved architecture was composed of walls built of small stones, in contrast to the mud-brick construction of the previous strata. 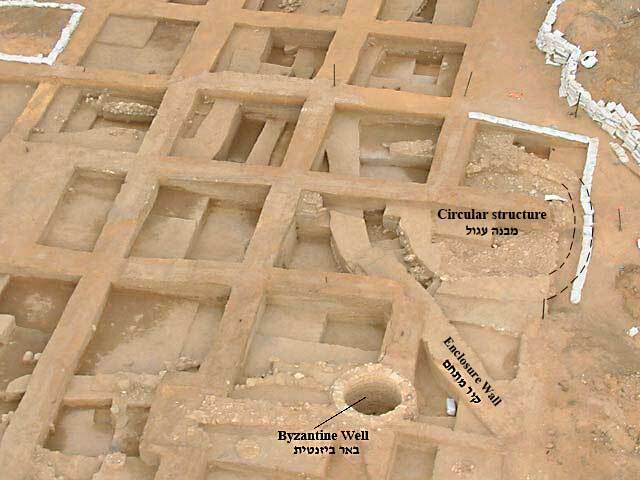 One of the Stratum II structures was circular and may represent a silo above ground. A small and shallow pit that contained fourteen small ceramic vessels, possibly a favissa, was exposed in this stratum (Fig. 6). Stratum I was associated with the Byzantine period. Remains of a deep well, built of small ashlars, were revealed. Safety precautions precluded excavating this well to its bottom. This area, situated at the southernmost end of the EB site, defined its southern boundary. Meager architectural remains in the northern part of this area were revealed in the previous season. The excavated area was enlarged, exposing a thin and poor occupational layer with a few surfaces, pits and architectural remains of unclear plan that appear to represent the very fringes of the settlement to the north. To the south and outside the settlement, twenty rectangular cists were identified, built of local kurkar stone and mud bricks, dug into the sterile soil (Fig. 7). These small structures (0.6–1.0 × 0.8–1.5 m; Figs. 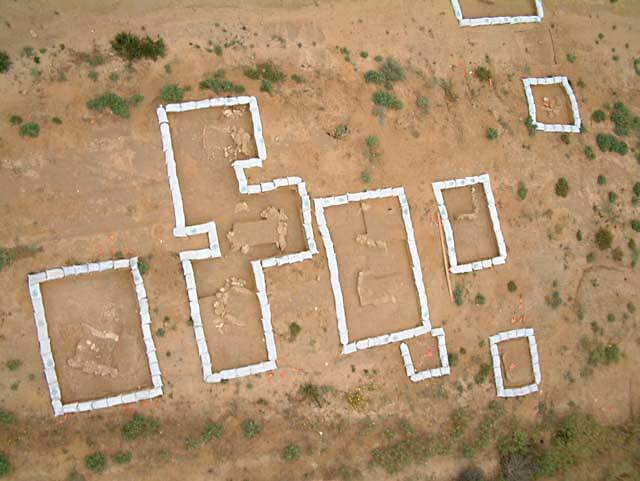 8, 9), generally oriented north–south, are presumed to have been tombs, although they were not fully excavated. Since they were apparently overlaid by the Stratum I Byzantine occupation and set in the sterile sands, they should probably be associated with the EB settlement. This area, situated between Area E to the south and Area D to the north, was separated from the latter by a broad modern intrusion that obliterated any physical connection between the two (see Figs. 2, 10). The archaeological remains were several meters higher than those in the adjacent Areas D and E, indicating that Area G was slightly elevated in relation to the rest of the site. 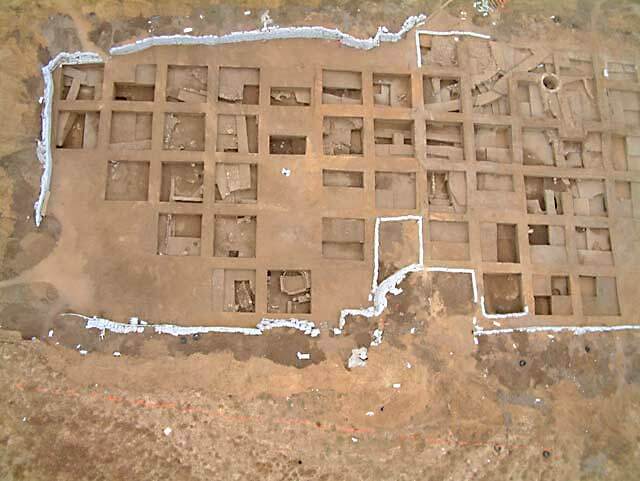 Remains of Stratum II were not identified, yet remains of several buildings, ascribed to Strata III and IV, were excavated (Fig. 10). 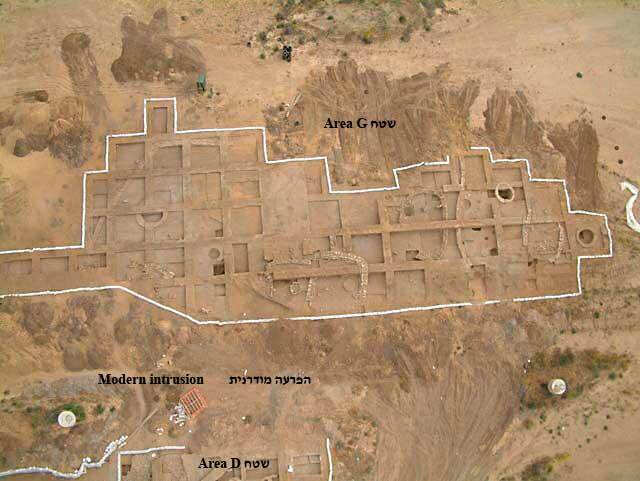 Stratum IV was the earliest identified occupation, which consisted of two oval buildings, nearly complete in plan and the partial remains of two more structures further east. The entrance to the westernmost structure was on the east and adjacent to it were two large silos dug into the soil and faced with mud bricks (Fig. 11). 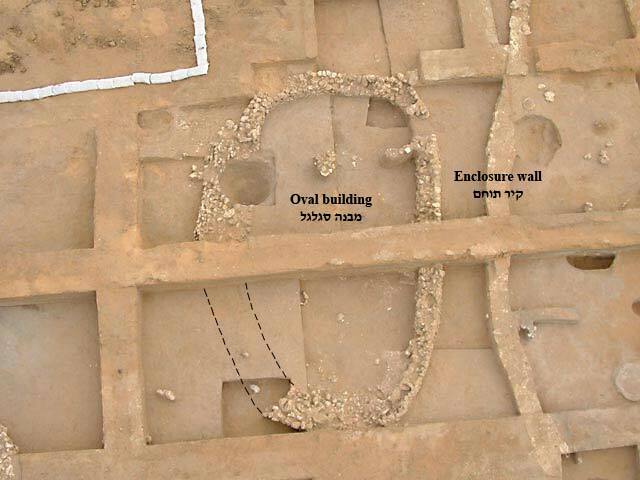 Below the wall of this building was an infant burial within a holemouth jar (Fig. 12). A wide courtyard with several pits and a tabun separated this building from another oval building to the east (Fig. 13). This second building, severely damaged by pitting activities of Stratum I, also had its entrance in the east. Remains of another rectangular building with rounded corners were identified in the central portion of the area, to the east of the two buildings described above (Fig. 14). Narrow benches were constructed along its walls, while a circular mud-brick podium (diam. 1.5 m) was in its western part. The northern side of this building was destroyed by a modern intrusion. Remains of a threshold, assumed to have been located at the center of the long eastern wall, suggest an estimated size of the building (c. 7 × 14 m). To its east and near the entrance was a circular stone installation, surrounded by numerous remains of crushed pottery. The elevated position of this unusually large-sized building, its distinctive plan that included narrow benches on the interior, as well as a mud-brick podium within its confines and another circular installation near its entrance, all suggest that this was a building of some importance. 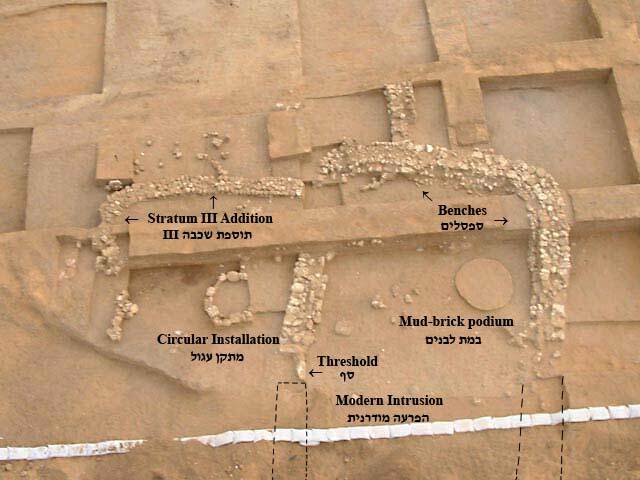 The partial remains of yet another curving structure and a mud-brick silo were found further east, both apparently bounded by a mud-brick enclosure wall that was traced for nearly 30 m.
Stratum III was a direct continuation of Stratum IV. 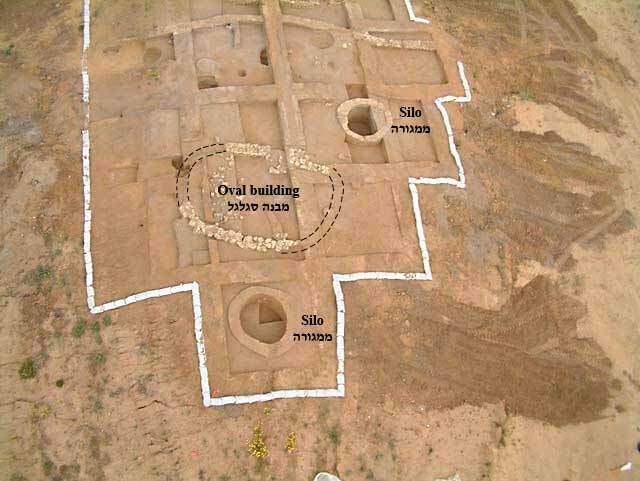 The two oval buildings identified in the western part of the excavated area continued in use, yet were now separated by a mud-brick boundary wall (see Fig. 13). The two underground mud-brick silos of stratum IV, associated with the westernmost structure, were canceled and a new mud-brick silo was built atop ground, above them. An identical phenomenon was observed in the excavation of Area A (see HA-ESI 117). The large building with the rounded corners in the center of the area was expanded, adding another room to the east (see Fig. 14). In a slightly later building phase of Stratum III, one of the oval buildings and the mud-brick silo apparently ceased to function, yet the large building with rounded corners and the westernmost oval building continued in use. Stratum I saw the area severely affected by pitting activity. 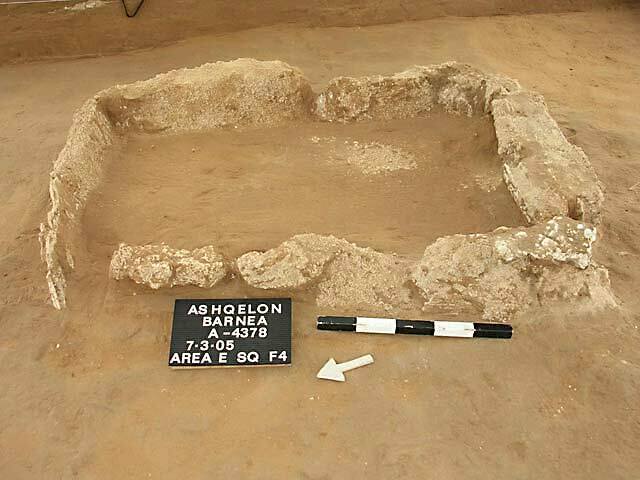 The present excavation at the EB site of Ashqelon Barne‘a sought to expose as much of the southern third of a site, which faces an imminent fate of total destruction, as possible. The excavation in Area D revealed some of the most intensive occupational remains at the site to date, while the nature of the defined strata in this area highlighted the development process of the site throughout the EB period. After the initial phase of Stratum V and the subsequent building activities in Stratum IV, including the construction of a very large enclosure wall, an intensive settlement with two building phases was established in Stratum III, including the remains of several large structures, some of them enclosures, alongside domestic buildings. The clear occupation break during the transition from Stratum III to Stratum II was marked by the abandonment of the site and the renewed construction of a different nature that did not recognize the previous remains. The excavations in Area E allowed pinpointing the southern extent of the settlement, revealing at the same time a possible burial ground to its south. 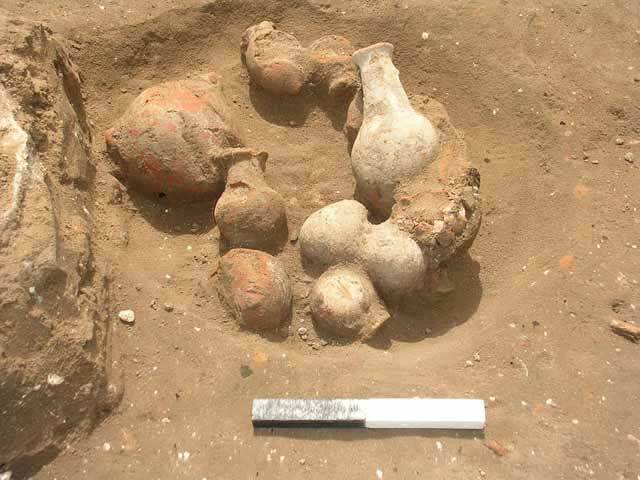 The excavations in Area G uncovered a domestic neighborhood composed of two nearly complete oval buildings along with their associated storage facilities that were later separated by a boundary wall. Beside these buildings was a large, somewhat unique structure that may have served a public function. 1. Location map of all areas excavated to date and the extent of the site. 2. Areas D and G in the southern portion of the site, looking west. 3. Area D, general view, looking south. 4. Area D, looking southeast. 5. Area D, remains of large mud-brick structures in eastern part, looking south. 6. Area D, a possible favissa with ceramic vessels from Stratum II. 7. Area E, southern portion, looking west. 8. Area E, a stone built cist. 9. Area E, a stone built cist. 10. Area G, general view, looking south. 11. Area G, oval building with two adjacent mud-brick silos, looking east. 12. 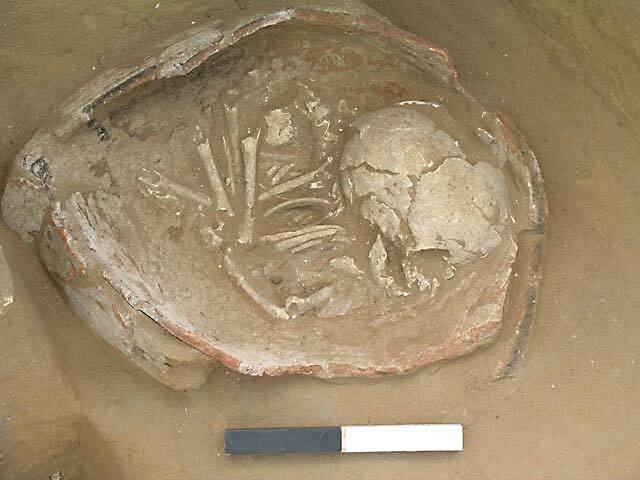 Area G, infant jar burial. 13. Area G, oval building, looking south. 14. Area G, large structure, looking south.